That roof is awesome and roof modules are something we badly need. Can I assume there's no objections to putting these in the core mod? Absolutely, that would be awesome. Btw. I hope working with those pieces is more or less intuitive, but I can make a tutorial video to make it more clear. Was textures/buildercompound/tiling/wood01 a deliberate removal? I was using that. Yup, that was a placeholder for the roof and not super great material to begin with. You can use the one from previous version if you want to, but I'll be making a better one sometime in the future. Great work on these models, they look very nice! Kind of a tangent, but how would someone climb a banner in real life? There's literally nothing to hang on to. Well, banners are made of cloth, so you can hold onto them quite well. The problem would be footholds, but I'd imagine that you could basically use a banner like you would use a rope and put your feet against the wall. My concern would be if the banner can really hold the weight of a person, but it is not uneralstic. I absolutely love the electric lamps in this set, and how they fit the verticality of the cathedral environment without looking out of place. 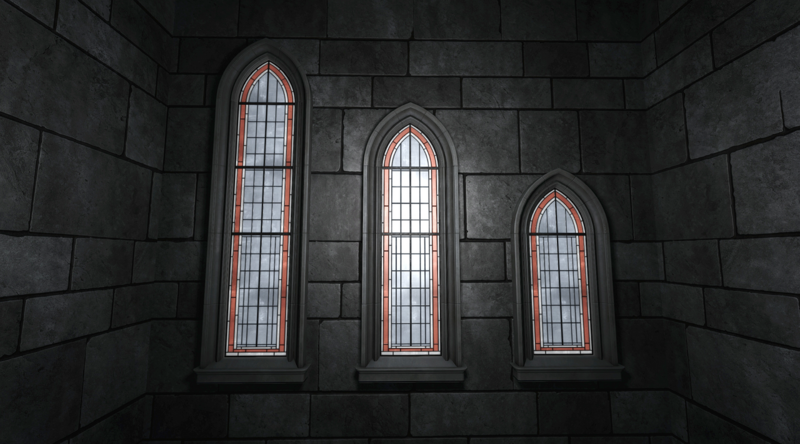 Version 0.42 will include stained glass window variations. Models and textures are done, I just need to make projection textures for lights. Will this get added to the mod for 2.08 as its own .pk4 do you think..? It would be great at some point. It's still far from complete package though. Still, TDM team can take anything from that package and include it in the core mod, at any point in time.